Enjoy this ultimate feeling of wellbeing - Leave everyday worries behind and indulge into a whole new world of complete relaxation at our Wellness Parlor. Relax, unwind, restore your energy. 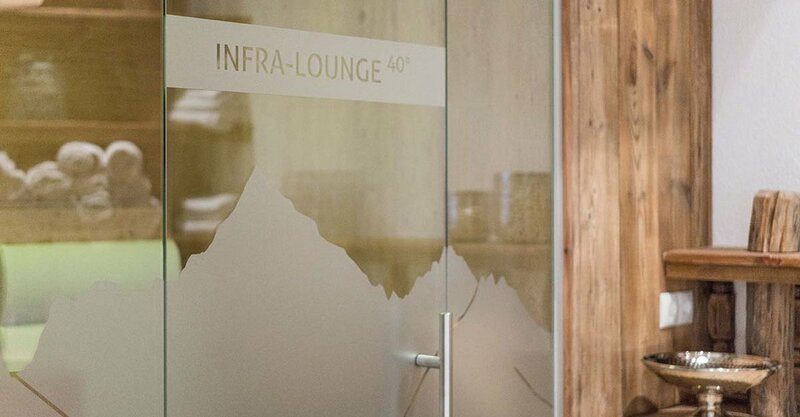 Our small and cozy Wellness Parlor makes a perfect spot to forget the worries of everyday life: Finnish sauna, an infrared heat cabin, a steam bath, a fresh drinking water fountain, wellness showers and a fine tea bar with selected specialties. 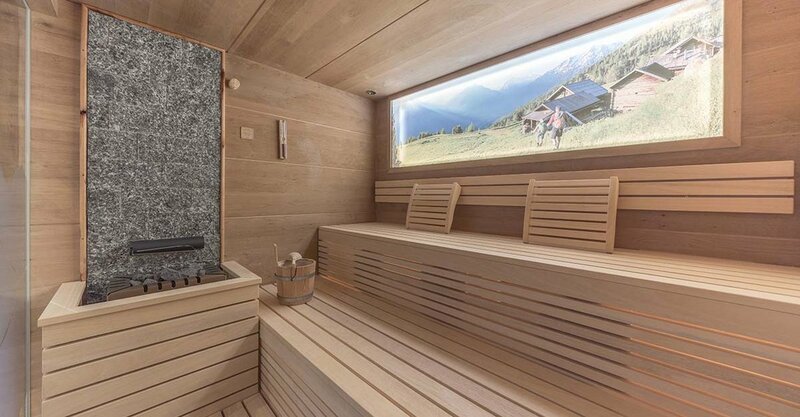 Infrared heat - if applied on a regular basis - has many positive healing effects for body and mind by providing also a feeling of deep relaxation. 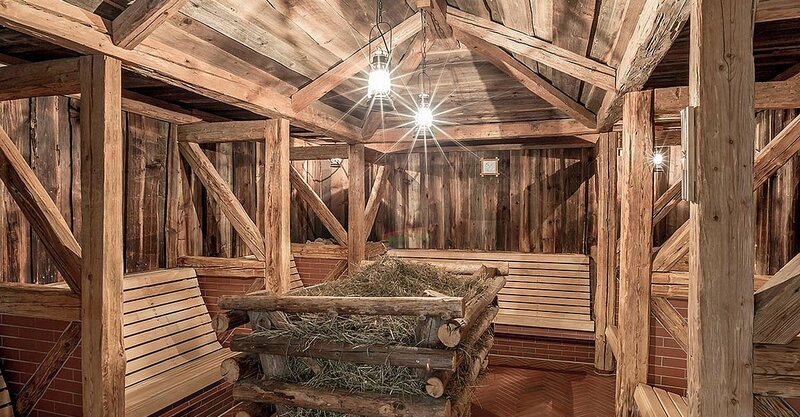 The Finnish sauna is the right place to sweat, followed by a nice rest in the relaxation area. 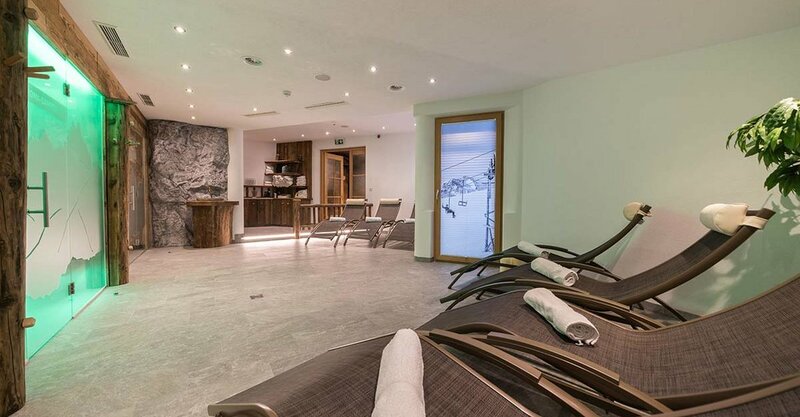 There is nothing more beneficial than enjoying a marvelous wellness session after an active day in the mountains (check notice board for opening times). 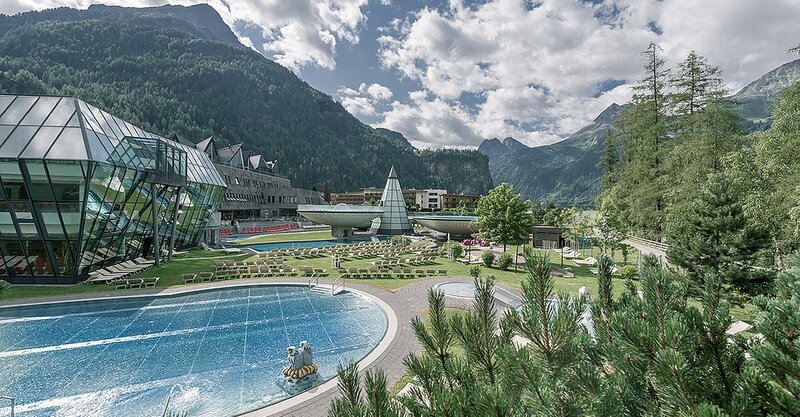 Invigorating hours in Tirol's biggest Thermal Spa & Wellness Center: Inhale the power of opposites at the Aqua Dome -Tirol Therme Längenfeld. We are an Aqua Dome partner lodging, therefore our guests receive a 10% discount on all admission tickets. Of course we also provide you with brochures and detailed information on extra services, rates and offers. The Aqua Dome can be found in neighboring Längenfeld at about 15 driving minutes from Sölden. Floating almost weightlessly in one of the saltwater pools while admiring the majestic mountain peaks higher than three thousand meters. 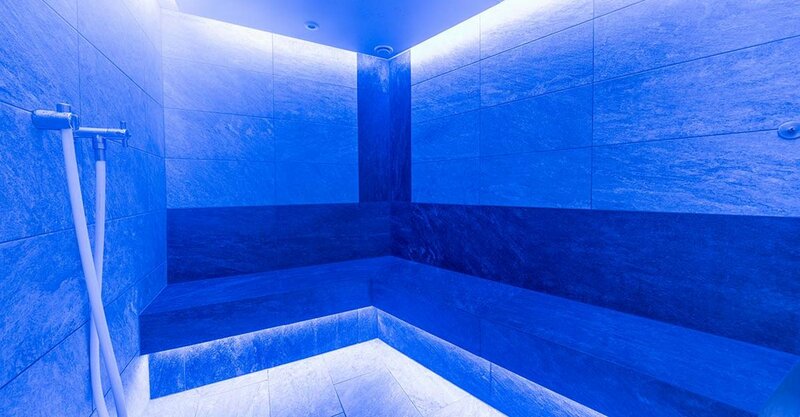 A wellness dream comes true on incredible 50,000 square meters at the Aqua Dome Spa Center. 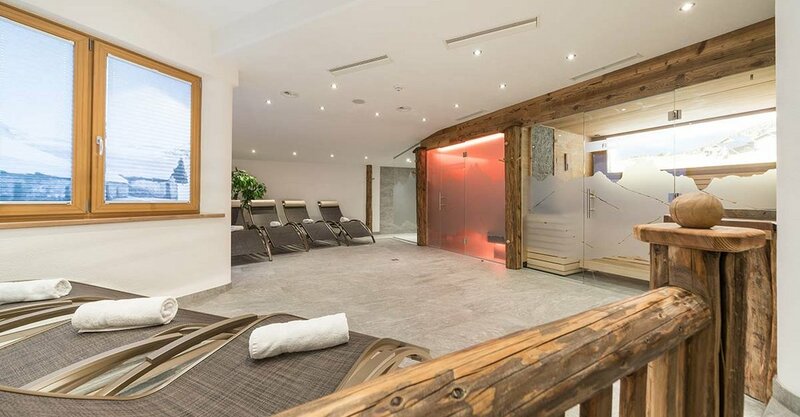 The bathing, swimming and sauna worlds help you to relax both body and mind. Enjoy invigorating moments at 12 indoor and outdoor pools featuring up to 34 – 36° Celsius water temperature. Great moments of ultimate relaxation await you at the "Talfrische" outdoor spa, offering three pools on stilts in futuristic design. 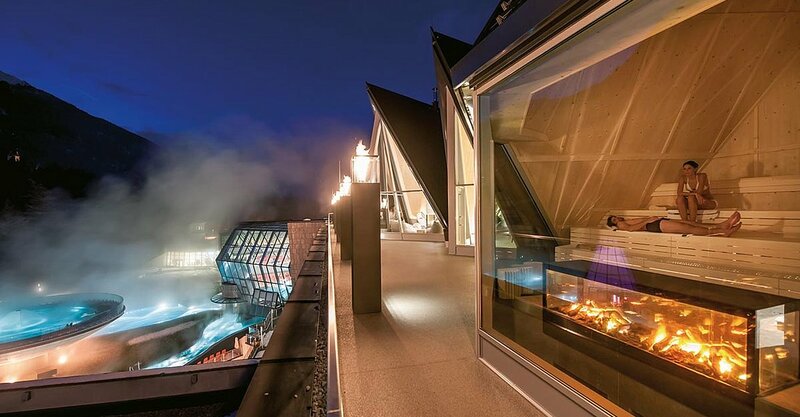 An eye-catching architectural masterpiece amid natural landscapes, comprising also an illuminated glass cone that mirrors the breathtaking Alpine panorama. 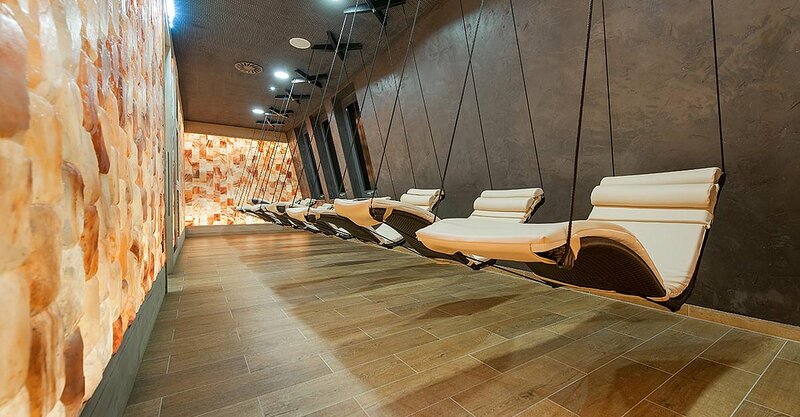 Spa moments for all senses. More detailed information on the Aqua Dome available here.